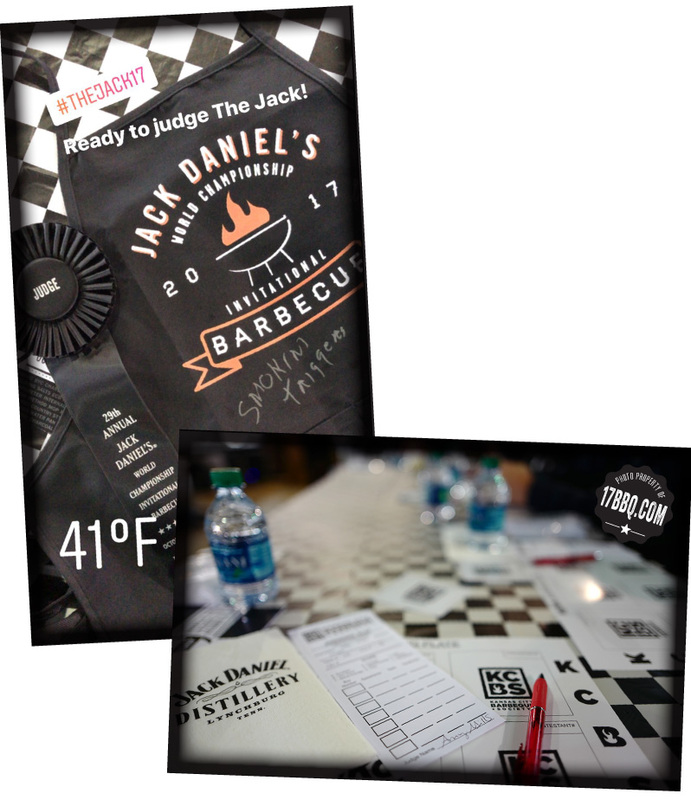 Judging the Jack Daniel’s World Invitational Barbecue Cooking Contest is a bucket list event for a barbecue judge and an October tradition for Mike and me. 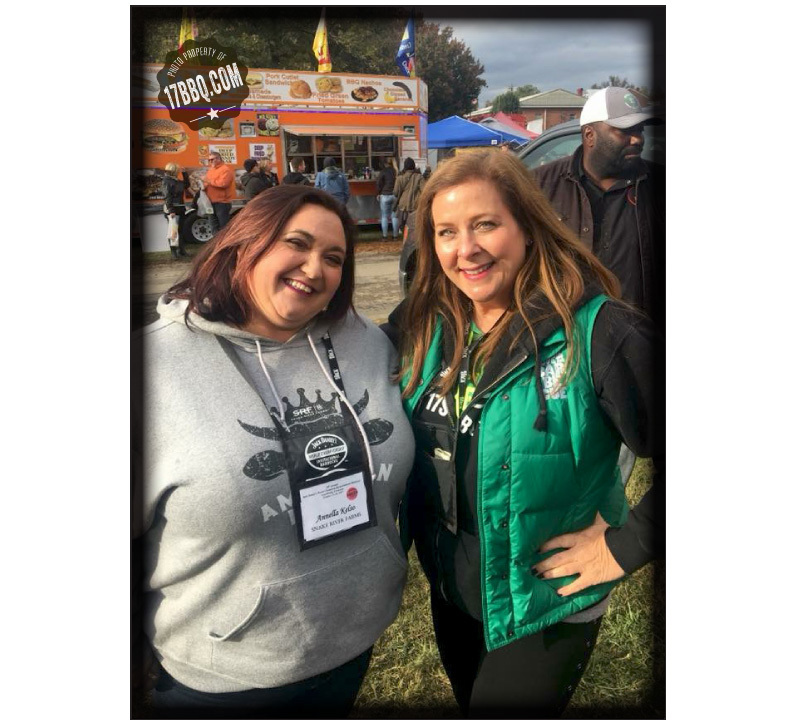 Mike and Apple City Barbecue won The Jack in 1992, and we’ve been returning for the past 15 years to serve as judges and cheer on so many friends who’ve been fortunate to compete — and win. 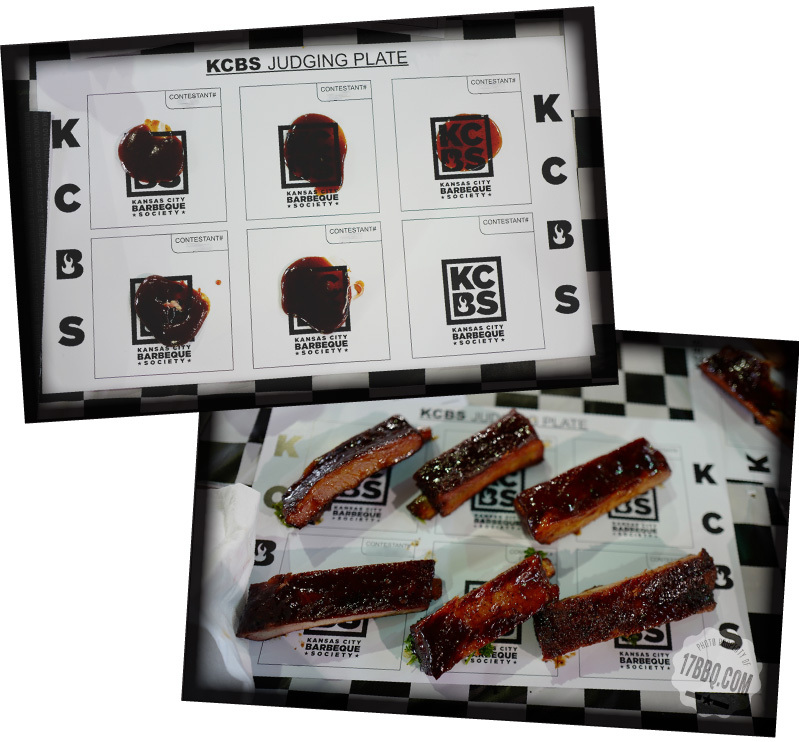 Here’s a sampling of the judging plates. This contest includes sauce, cooking from the homeland/chef’s choice, and dessert. 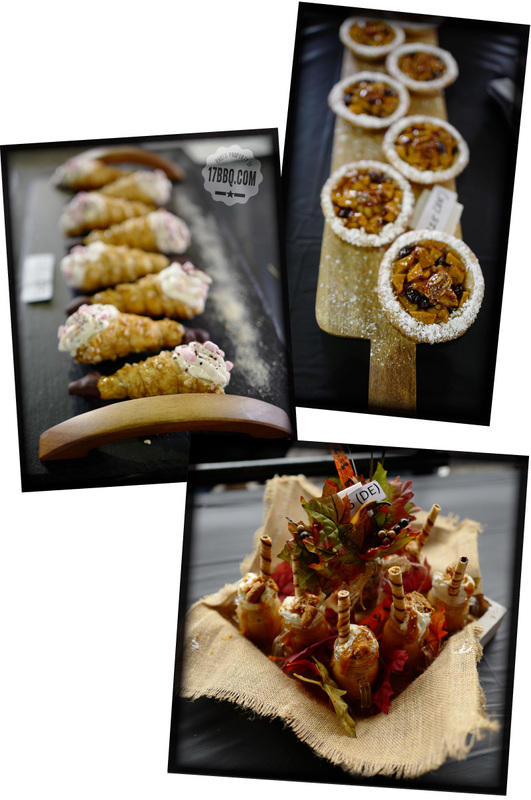 As a media judge, I was able to take some photos of my food. 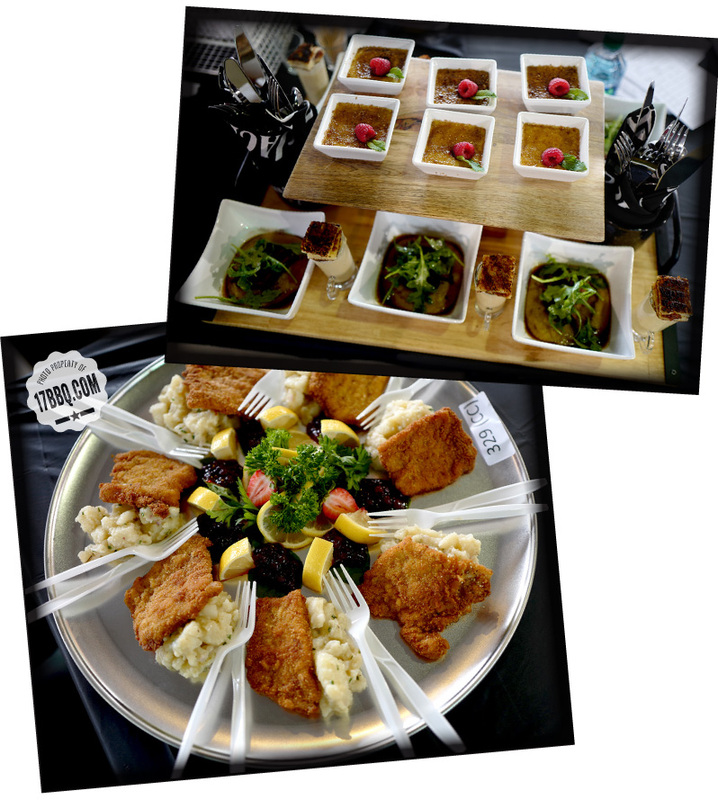 International and domestic teams can choose to compete in the Cooking from the Homeland/Chef’s Choice category. The images above are a few of those inventive entries. 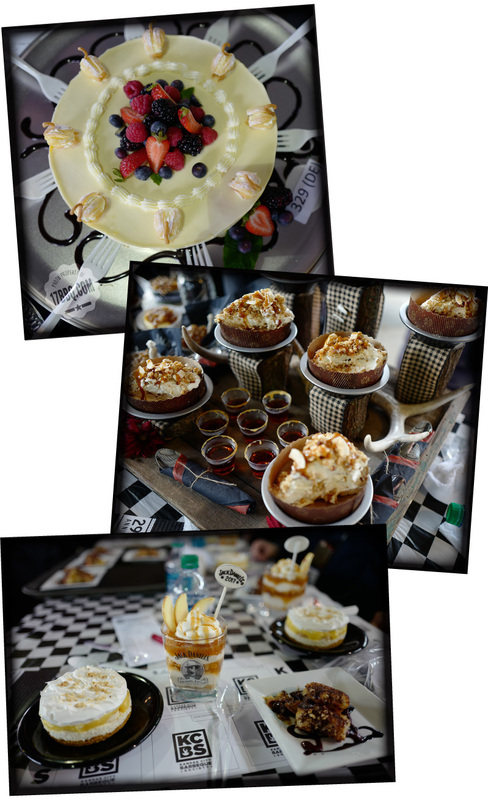 Creativity abounds in the dessert category and it steals the show each year. The table captains parade by, carrying each entry, as the judges hope for the most interesting submissions to hit their tables. This was my favorite this year — mocha cakes filled with peanut butter mouse and topped with ganache and chopped mini Reese’s peanut butter cups. 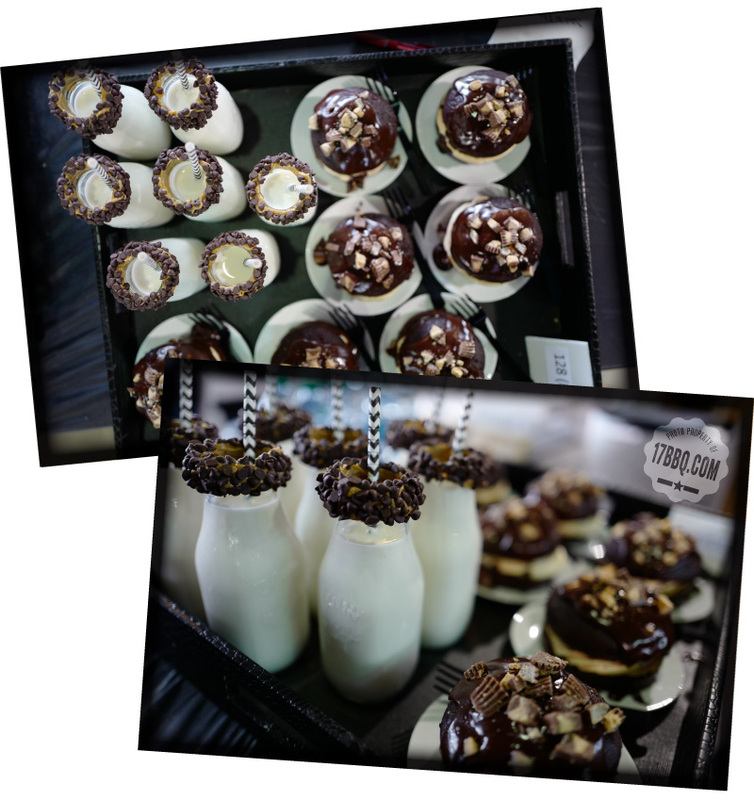 The accompanying mini milk bottles were rimmed with peanut butter and rolled in chocolate chips. I think this won first place — someone please correct me if I’m wrong. This was judged by the table next to mine and I was lucky to snag a taste. 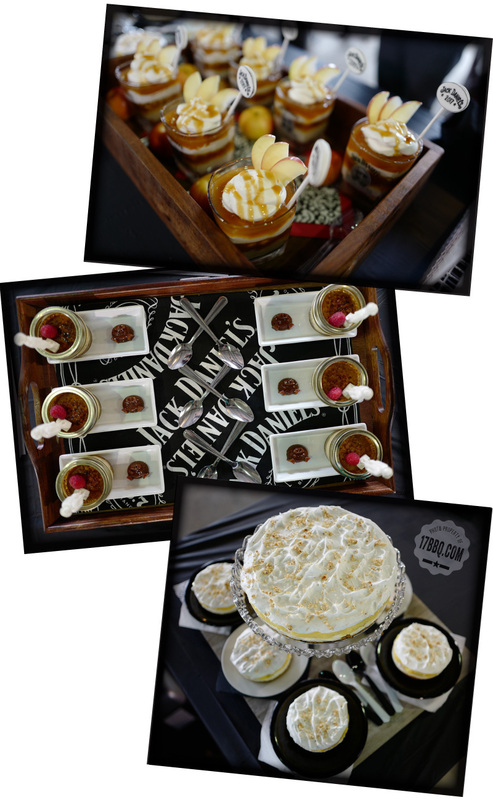 My judging plate contained a composed banana pudding, caramel apple pie in a glass, and a gooey cake swirled with chocolate. 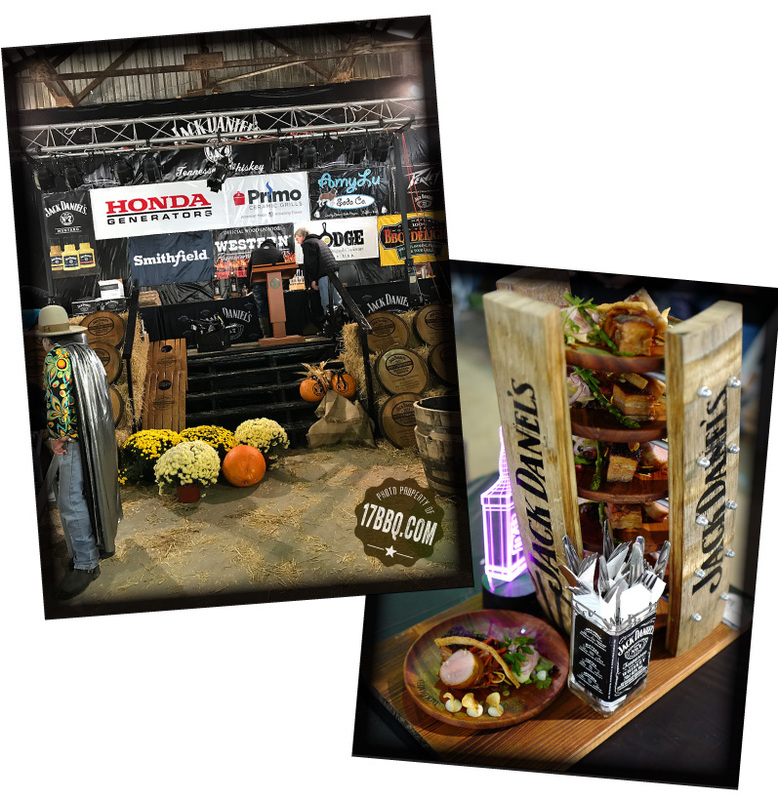 Debbie Christiansen and her team do an amazing job of organizing the event and setting the stage for photo opps. Catching up with friends is the best part of the weekend. 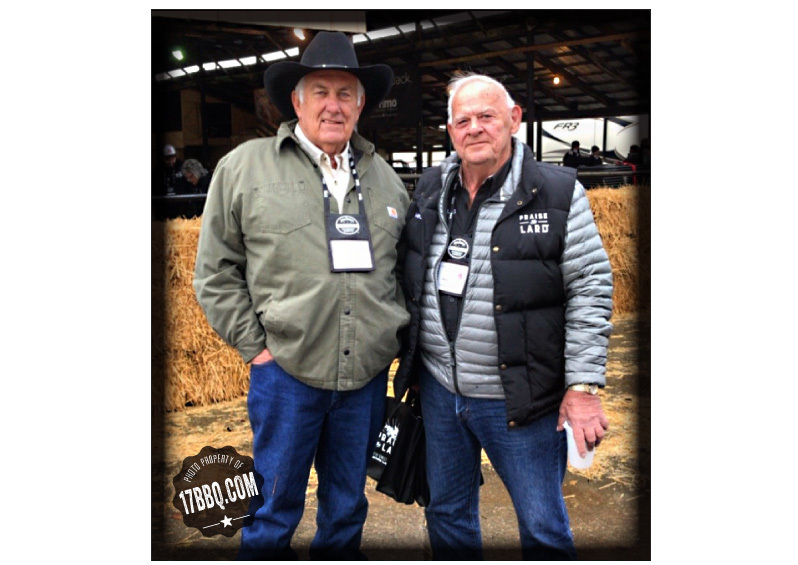 Here are Mike and Johnny Trigg. Johnny was the first person to win The Jack twice. 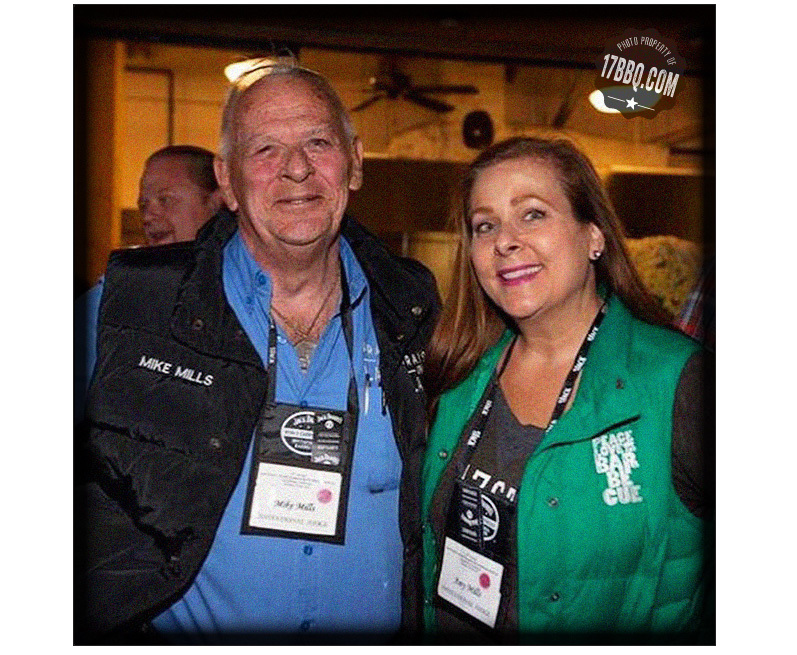 All of the winning teams use Snake River Farms brisket and Anella Kelso is the force behind that brand. Thank you Frank Boyer for capturing this pic of Mike and me! The tiny town of Lynchburg shines during this weekend as thousands of people visit the distillery, craft fair, and barbecue teams. 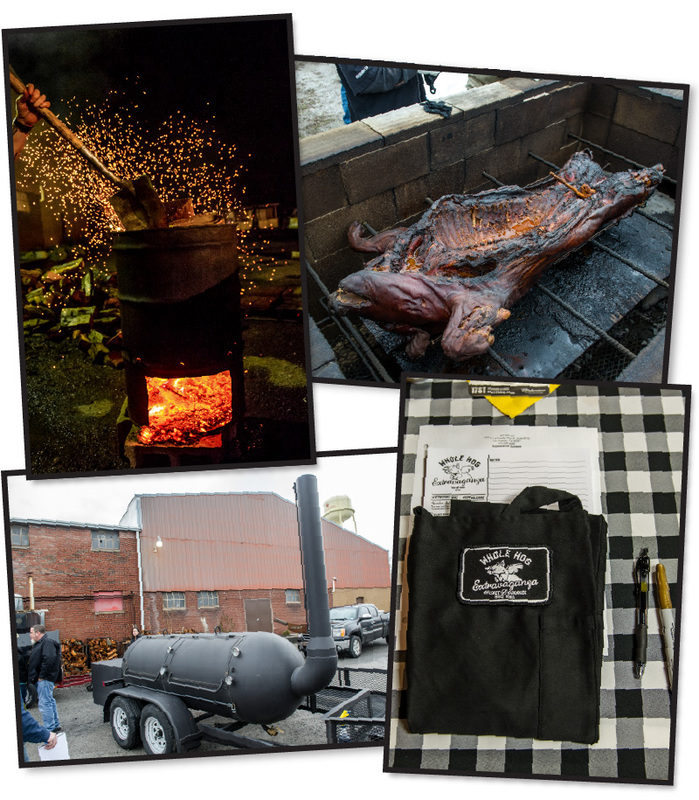 If you’re an enthusiast of barbecue or Jack Daniel’s, put this weekend on your list. Thank you so much to Niki Giacchina of DVL for inviting me to be part of the festivities and fun!